These 3 HP interchangeable spindle tool post grinders handle large external and surface grinding jobs, converting any standard machine tool into an external grinder with 12" diameter grinding wheel capacity, and can also be converted for internal grinding. Dumore Series 25 tool post grinders mount on lathes with swings of 20" or larger, milling machines, planers and boring mills, as a substitute for more expensive single purpose grinders. 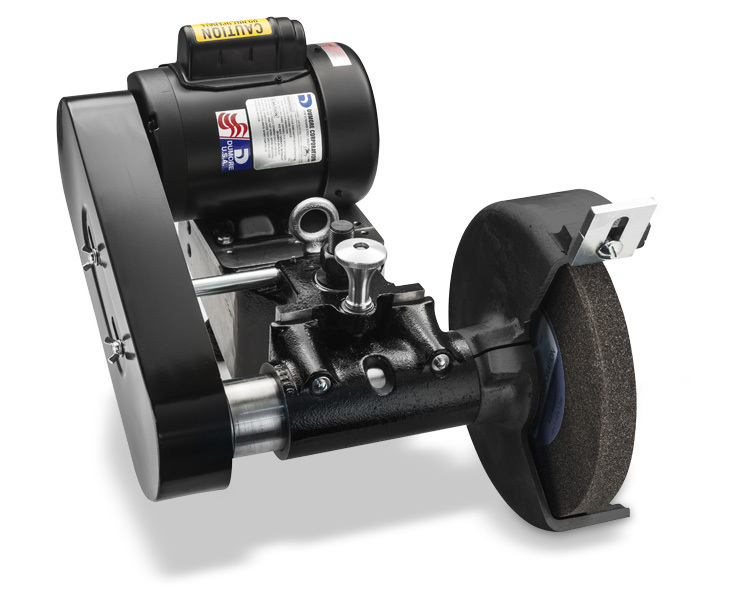 Depending on the spindle selected, these tool post grinders are capable of external grinding with up to 12" diameter grinding wheels, and internal grinding with up to 5" diameter grinding wheels and 18" depth. They are powered by a rugged 3 HP induction 3-phase motor (select either 220VAC or 440VAC option) and equipped with a built-in magnetic starter, overload protection and sealed bearings.